The Italians are now free to play in this season’s Europa League. Milan had qualified for the group stages of the competition after finishing sixth in Serie A. The Italian club was owned by former Italian prime minister Silvio Berlusconi from 1986 until it was sold to a Chinese consortium for 740m euros in April 2017. The club then spent £200m on players in the summer of 2017, bringing in Leonardo Bonucci from Juventus for £35.1m and Andre Silva from FC Porto for £33.6m. It was the first time since 2002 the club had broken the £30m barrier for a player. 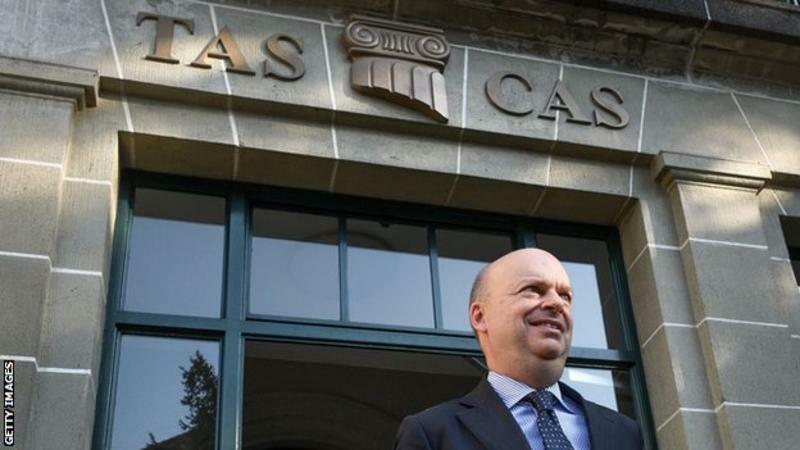 CAS said that, while UEFA was correct in ruling that Milan had failed to meet the break-even requirement, “some important elements have not been properly assessed … or could not be properly assessed” when the decision was made. It said that the club’s financial situation was now better. UEFA’s Financial Fair Play rules were brought in to stop clubs running up debts, and they can be punished if they spend more money than they earn. Sanctions for breaching the rules range from warnings and reprimands to points deductions and transfer embargoes. ← Liverpool make Alisson the world’s most expensive goalkeeper….